This article is 2878 days old. 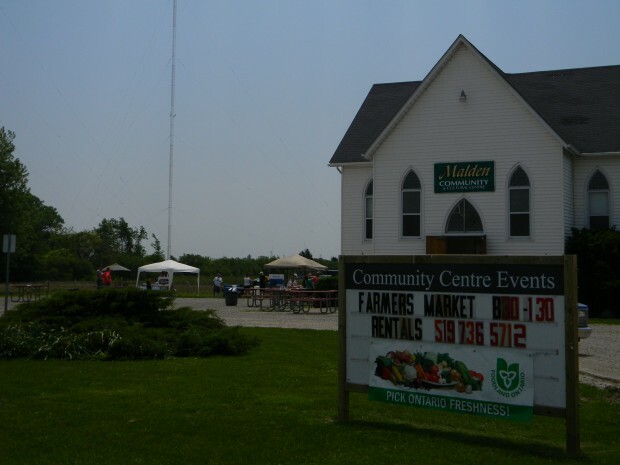 This Saturday, like every other of the summer months, The Amherstburg Farmer’s Market took place at the Malden Community Centre at the corner of Howard and County Road 20. 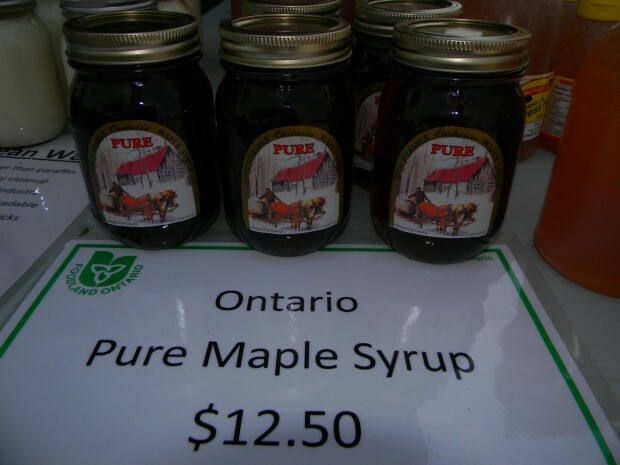 The market hosts vendors from across Windsor-Essex, selling fresh bread and baked goods, produce and plants, fish, jellies, and handmade soaps. Among the booths you’ll find Barb with her Sweet Chili Sauce, a traditional family recipe that she started producing for public enjoyment last summer, made using locally grown produce. 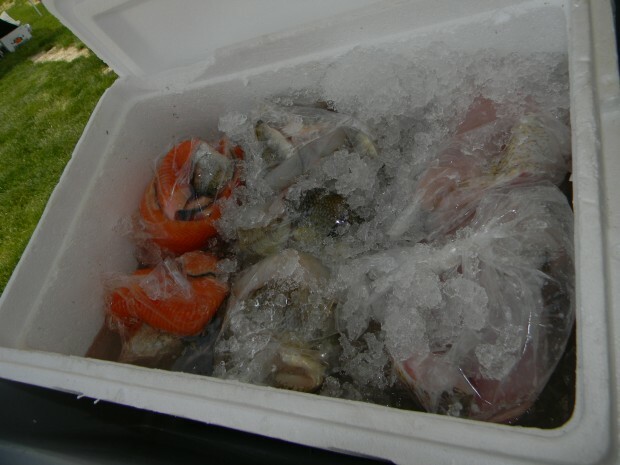 Dockside Fisheries also have a place, providing fresh fish, commercially caught in Wheatley and processed in Leamington. 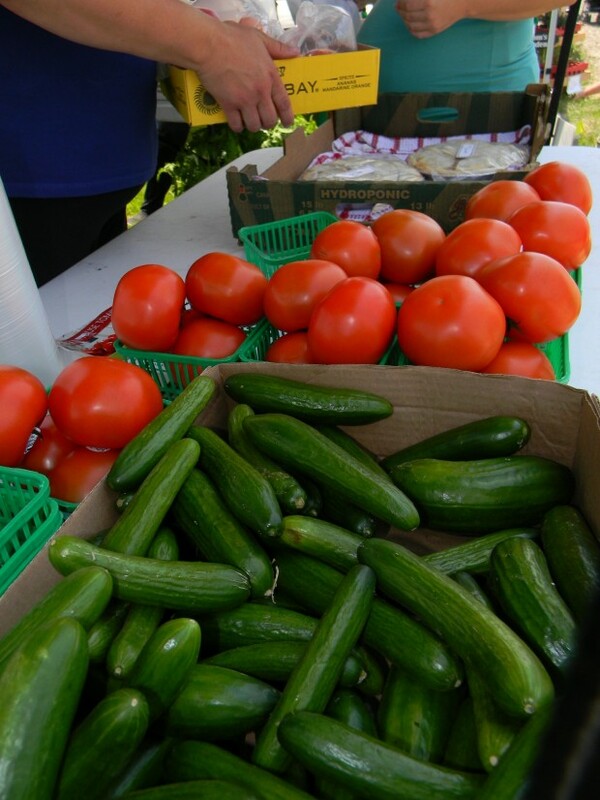 Bouchard’s Farm, located on Collison Sideroad in Harrow, has their fresh produce and flowers available, with everything from hanging baskets to cucumbers and tomatoes. 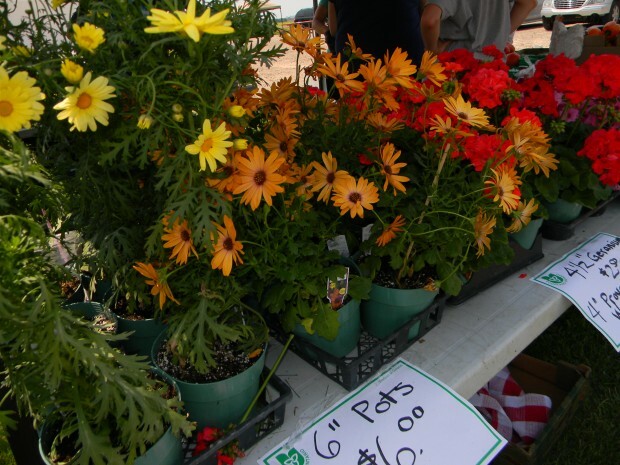 The friendly atmosphere of the market combined with all of the great items available makes for a great weekend stop. 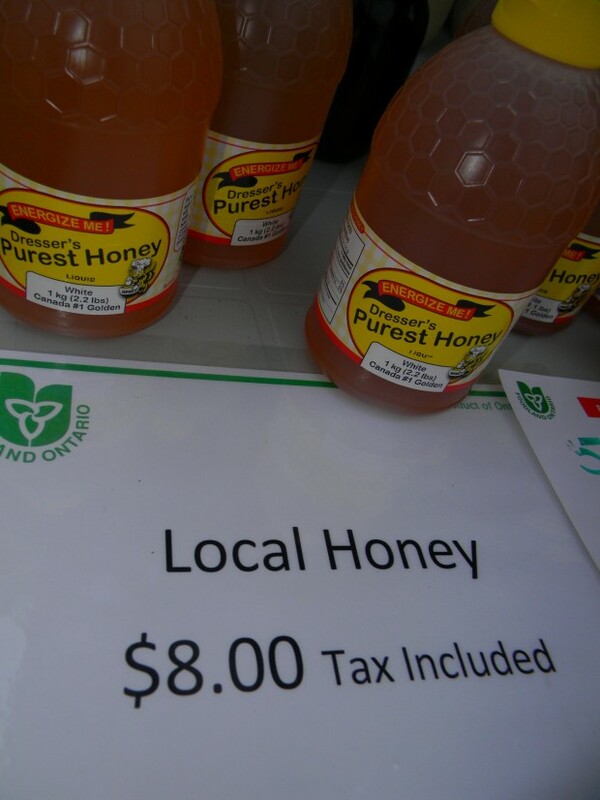 Definitely worth the drive from Windsor, especially with the great weather we’ve got happening. 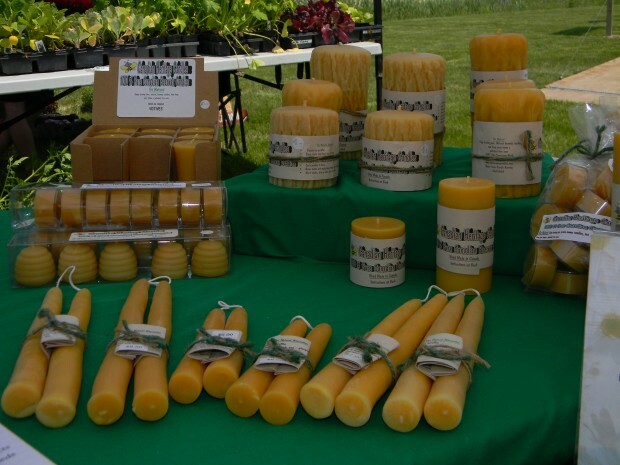 The Amherstburg Farmer’s Market happens every Saturday from 8:30 am until 1:30 pm, at The Little White Church on the very end of Howard at County Road 20.